Dance band GoodLuck has more than 400 performances under their belt. And that’s after making music for just three years. The band released their third album Creatures of the Night, which they recorded in the Namibian desert. It’s as amazing as their self-titled debut in 2011 and uses sounds of nature they recorded while in Namibia. The CD is accompanied by a DVD doccie of their recording process. We had a chat with bandmates vocalist Juliet Harding, producer Ben Peters and saxophonist Raiven Hansmann. We asked them to answer our questions in triplicate. I mean, there are three of them, this is their third album and they have been around for three years. It just made sense. . .
What was the best about recording in Namibia? Raiven: The sheer vastness of the expanse of the desert. I loved the Fish River Canyon and recording echoes as the sun set. Juliet: Stumbling upon a herd of zebra. We went on to record the sounds they made and used it as a lead hook in one of our songs. Ben: Raiven and I flew to Skeleton Coast to record. We had an idea to recreate white noise on a pebbled shoreline at Terrace Bay. It was everything we ever could have imagined. The album was mastered and mixed in London at The Dairy Studio with Dean Barrett, what was the highlight? Ben: When Dean heard the sounds we recorded outside, he could not believe it – the quality was amazing and he loved everything we had. Juliet: When I looked at the impressive list of artists who had worked with Dean – the list is endless and includes artists like Beyonce, Bruno Mars and Florence and the Machine. Raiven: Being in the home of the urban electro genres like drum and bass was a highlight. We have those elements in our music and it put our stamp on Brixton (in London where they recorded). Coincidentally it’s the home of our greatest heroes, Faithless. Who are the artist’s you most loved working with? 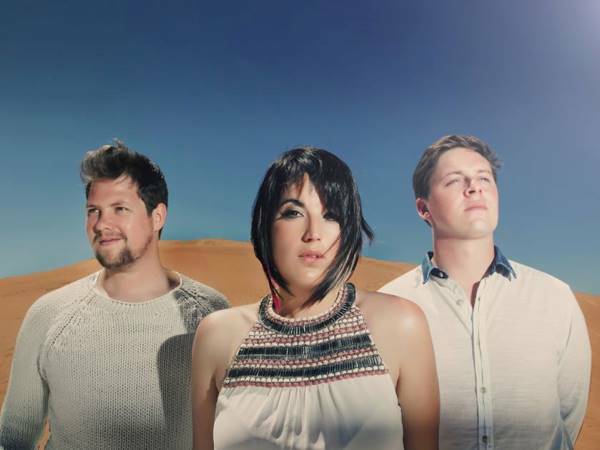 Juliet: Justin De Nobrega – a Cape Town producer. He worked on the track Trickery and is a humble, sweet guy. Ben: Bassment Jaxx lead singer Lisa Kekaula. Raiven: Singer Mathew Gold – he’s featured on two of our songs now and did the lead vocals for Takin’ it Easy – our first single. What do you wish you knew about the industry before you got in it? Juliet: That conceptually, you need an identity for your music. We flew under the radar for a while before knew who we were. Ben: I wish I knew I didn’t need to say yes to everyone and try to please them all. Our conviction and vision is what’s leading us on in this crazy adventure. Raiven: How little time I’d have to practice my instruments when we travelled. And that long hair didn’t actually suit me! The songs that make up the soundtrack to your lives . . .
Where do you see yourselves in the next five years? Juliet: Creating a portal into the world of electro and taking South African music to the world. Ben: Grabbing the world’s attention whenever we go out. Being ambassadors of our country and to be seen as an inspiration to others. Raiven: South Africans are open to the changes going on in the world of music and are getting excited about what we do. We just want to keep making music that excites.